Scottish football through the eyes of a fan. These are some of the replies I received after posting my tweet announcing Ode To The Wee Red Book's trip to Cowdenbeath. 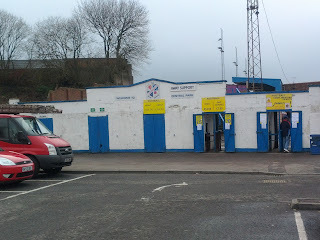 This made my visit to Fife's oldest remaining club one I approached with a mixture of excitement and trepidation. The reputation of Central Park certainly preceded itself and I didn't know quite what to expect. The pictures I looked at prior to my trip certainly didn't ready me for the treats in store on the day, that's for sure! 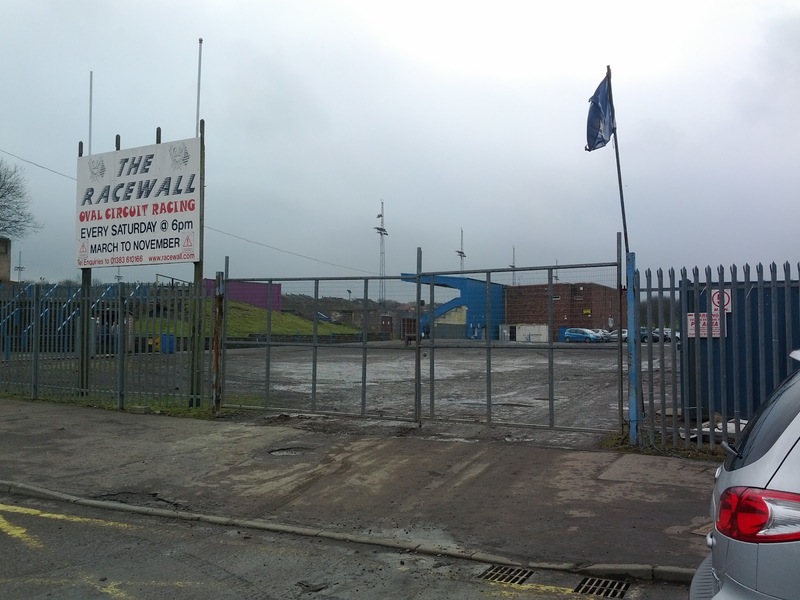 Arriving at the ground, you are met with the rather harsh realities of Central Park. On entering through these “gates” you find yourself with two options. Firstly, you can take a left up a flight of....I guess you could call them stairs....which takes you to the open terracing on the far side of the ground. 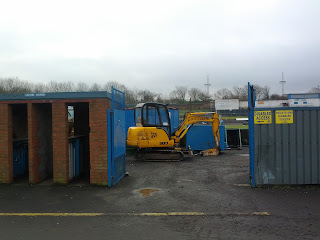 Otherwise, you continue straight on for about 100 yards until you are met by another set of gates which don't seem to lead anywhere other than to a tiny JCB Digger which randomly sits within at the entrance to the Main Stand. 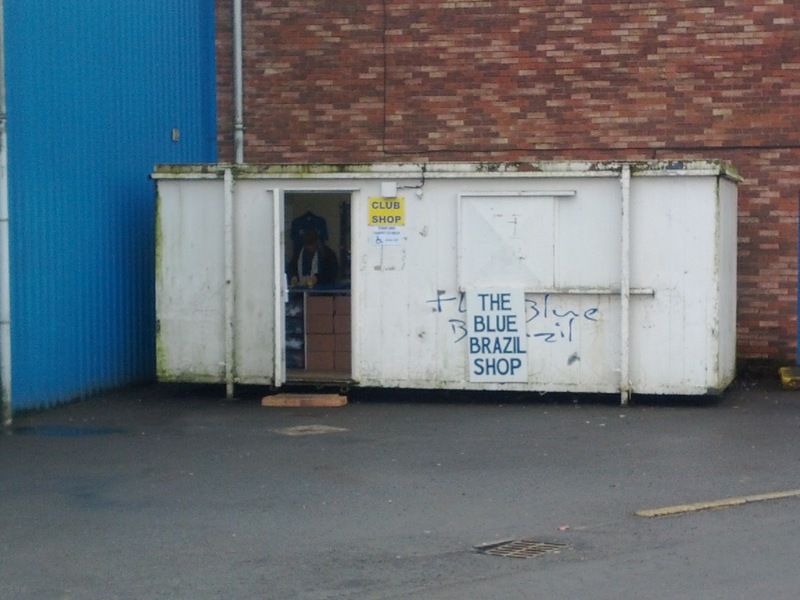 Walking further round you get to see the dual treats of the catering facilities and the Blue Brazil Club Shop (pictured below) which, I have to say, is quite a sight! 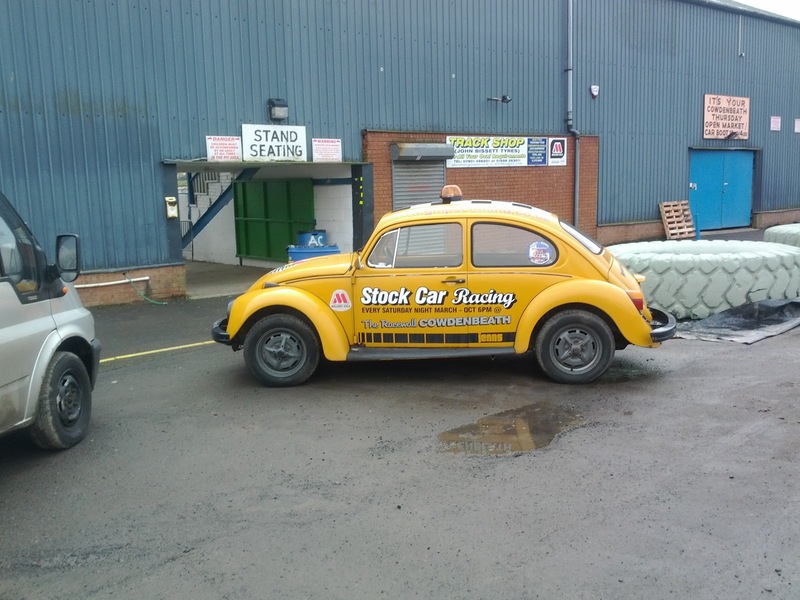 Even further round you are met by giant tractor tyres, an old VW Beetle and some unbelievably confusing signs – such as “Ladies & Gents toilets”. I didn't test if they were unisex. I seriously hope not! There are also about 100 different entrances to the stadium which is also massively confusing. 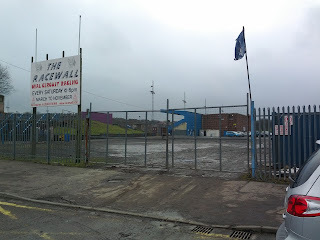 The JCB entrance did for me in the end and as Central Park is also home to Speedway racing, there is a sizable tarmac track and a meshed protective safety fence around the park. The stadium, as you can below, is mostly open with three sides having small terraces. 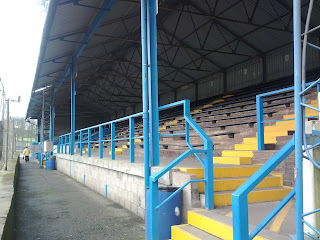 The North side of the stadium is home to the main stands. 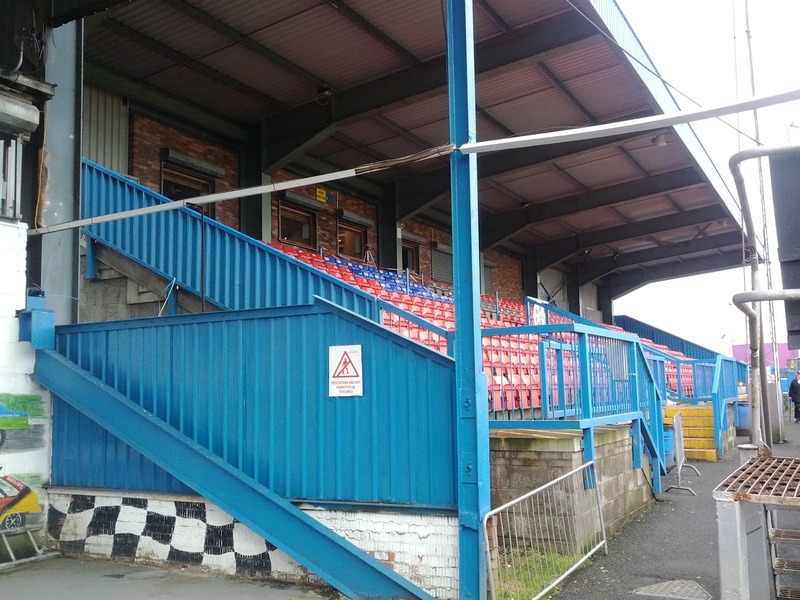 Yes, you read correctly....Main Stands – an old structure and a new structure which sit side by side due to the fact that in 1992 the original old main stand was partly destroyed by a fire. 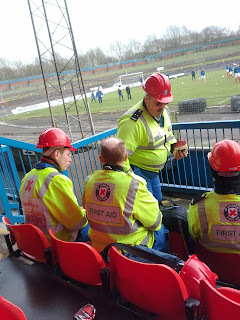 I should say, this makes for an utterly bizarre matchday experience as you move around the ground but does give Cowdenbeath full marks for quirkiness but poor marks for comfort as that element of things was sorely lacking. 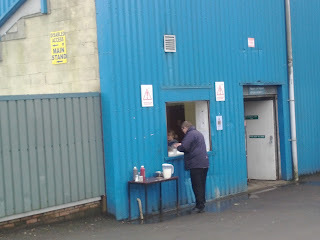 The aforementioned catering stall offered very few match-day goodies but was very cheap. I am still, a year later, waiting for anywhere to be as cheap at Greenock Morton's £1.80 for a pie and a tea, but I was pretty satisfied with £2.50 for the same two items at Central Park. The tea did something I've never seen before in my life. It fizzed. Actual fizz. Coca-Cola fizz, Cremola Foam fizz....Alka Seltzer fizz. It fizzed! That said, it was bloody tremendous! Will need to ask the grumpy woman behind the counter what her secret is if I ever go back. The pie on the other had didn't fizz but it did taste like turpentine. It was truly horrendous. Good score on price, Cowden, awful score on taste. I'm still not completely sure what to say about the Cowdenbeath fans. Behind me sat a large collection of old fellas who clearly go every week together, which is nice. 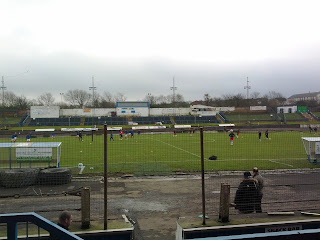 To my left sat one of the Cowden coaching staff, some of the u-19 team and the “younger” supporters. A weird and unintentional segregation. 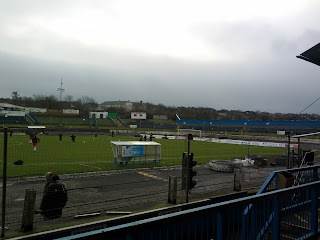 There were also pockets of fans all around the stadium who chose to stand in twos and threes at each side of Central Park and a large section of home supporters on the terracing opposite – including two kids playing with kites during the game! 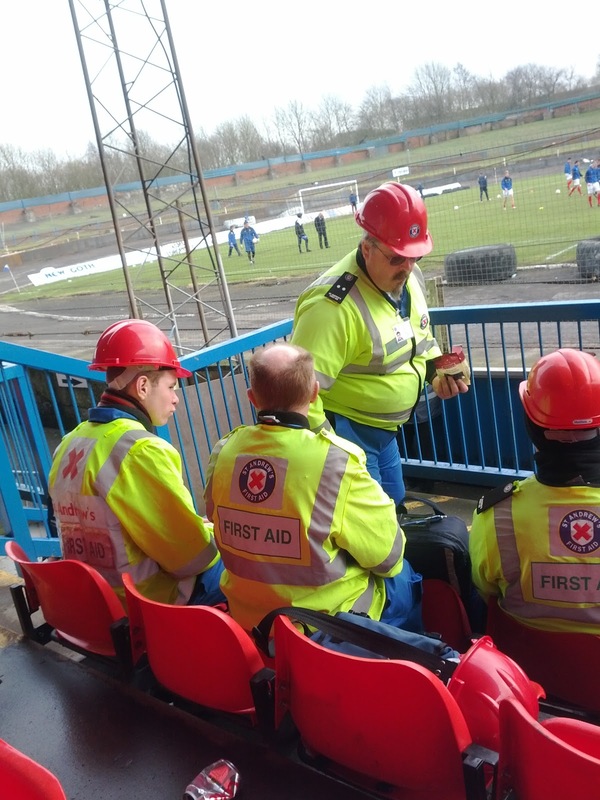 It seemed I was also sitting in the paramedic's section of Central Park where, I believe, a high-vis jacket is compulsory. The fans being disparate meant that there was a bit of a strange atmosphere inside the ground. Goals weren't met with any great deal of noise or enthusiasm at all. The fans weren't particularly friendly or sporting. All just a bit nondescript really. Disappointingly. 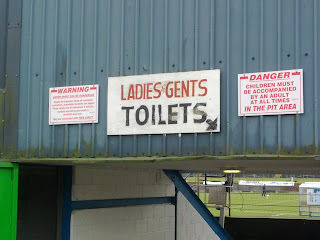 In terms of entertainment, Cowdenbeath were a real let down in the first half. Despite being full of energy and endeavour they created very little. Even Lewis Coult's opener for the Blue Brazil came more as a result of shocking defending by Stirling than quality from the home side. 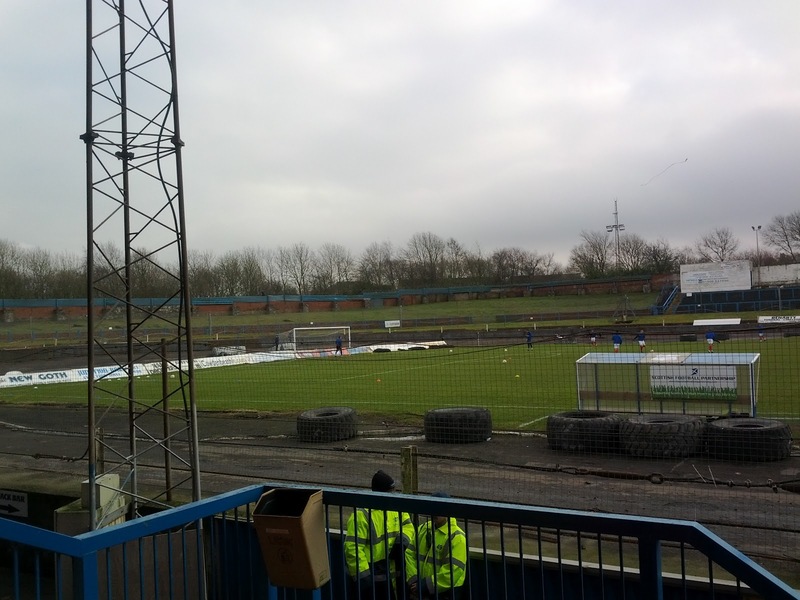 The second half was a real improvement as Cowden blew Stirling away with three goals and a powerful performance. Playing some nice stuff in the midfield and down the channels, they were a real threat anytime they attacked the Stirling goal and the visitors, who did have a decent spell in the second half, spent the entire second 45 mins pinned back. In the end, the home side deserved their 4-1 win and, in truth, could and probably should have added a few more to their tally. Lewis Coult – The big man was simply lethal, scoring his first ever hat-rick and looking like he'd hit the back of the net anytime he got near the penalty area. His link up play was also excellent and, after receiving some banter from him on Twitter, I can also confirm he's a bloody nice chap too! 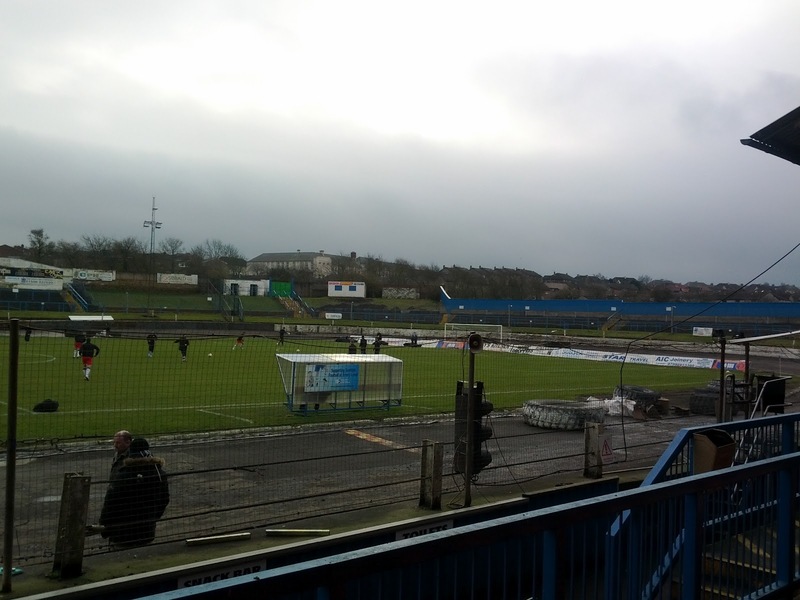 David Cowan & Kenneth Adamson – the Cowden full-backs both had good games, always keen to get forward and get involved and good on the ball, they add an extra attacking impetus to the home team. Good players. 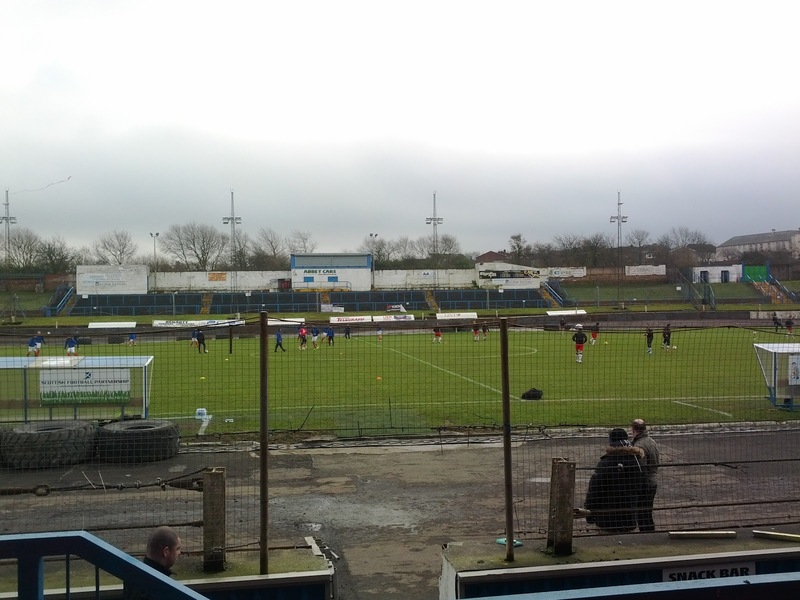 Jon Robertson – Cowden's captain and central midfield lynchpin, I do like him as a player. He's technically very good indeed. His use of the ball is excellent, rarely giving away possession and he seems to be the epitome of a box to box midfielder. Joe Mbu – finally, a mention for the big fella at the back. Tall, strong, pacey and powerful....Mbu is a bit of a fan's favourite. He loves battering through the back of players to win a header as much as he does taking the ball out of defence, Madjid Bougherra style, and going on a bit of a mazy! Enjoyable to watch! I would have to say that value for money at Cowdenbeath is pretty good. For £14 you have access to a unique stadium experience – genuinely never been to and never expect to go to anywhere like Central Park again in my life – a decent level of football and a fantastic tasting fizzy tea. 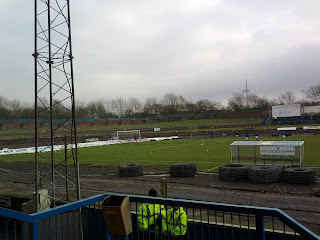 On the other hand, atmosphere wise I think there is something lacking and this ultimately has cost Cowdenbeath when it comes to a broader comparison with those grounds I've been to before them. I said on Twitter on the day of the game that I genuinely believe everyone has to experience Central Park at least once in their lifetime. As for going to it on a weekly basis with a season ticket next season....with this score, Cowdenbeath unfortunately won't be my choice. Charlie Adam - No World Beater! McLeish couldn't manage a fish supper! Old Firm Euro Exit: Cut the Sensationalism.